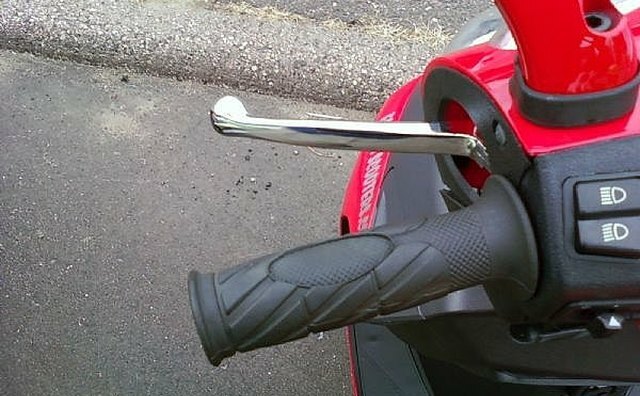 This article is designed to teach you the basics to kick starting any moped or scooter on the market. 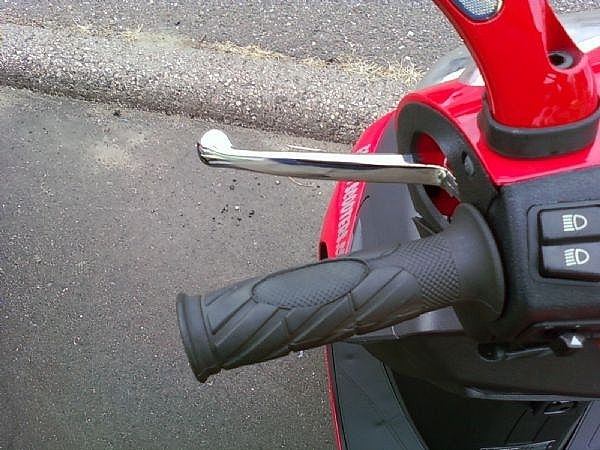 Most scooters have built in safety features that can confuse even the most experience moped rider. 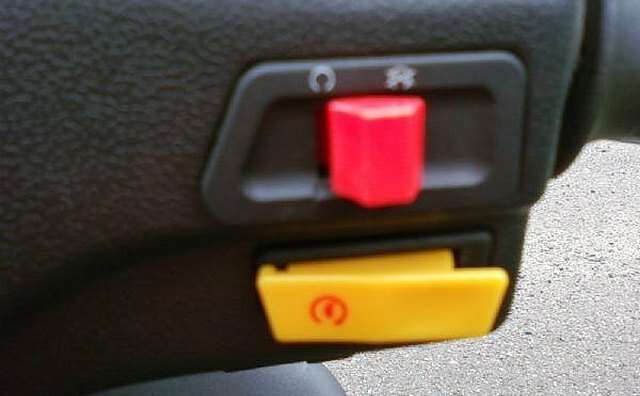 Even the smallest scooter or moped can be somewhat difficult to kick start if you do not know the safety measures the company puts in place. I have had people call me saying "I have been trying to start this moped for hours with the kick starter, but she just won't fire up." 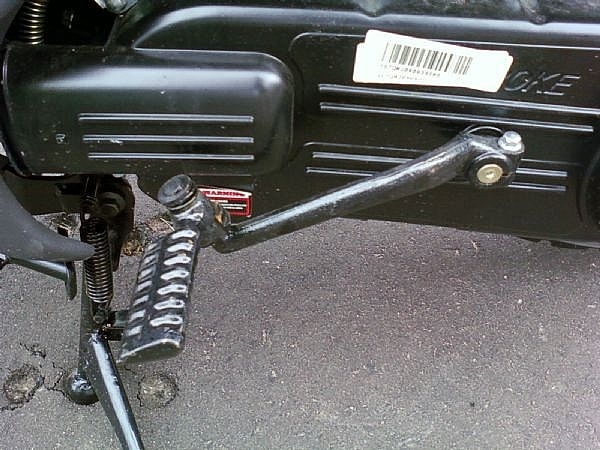 The first step to kick starting a moped is to locate the kick start lever and fold the foot peg out. The picture shows what it should look like. This is the time to look and verify you do have gas in the tank also. Without gas this will not work. Next step is to place the key in the ignition and turn it to the on position. Sounds simple, but there have been times where I forget this step for a few kicks. Now we need to be sure the kill switch is in the run position. If this is in the off position our moped will never have a chance. Now we need to squeeze a brake handle. 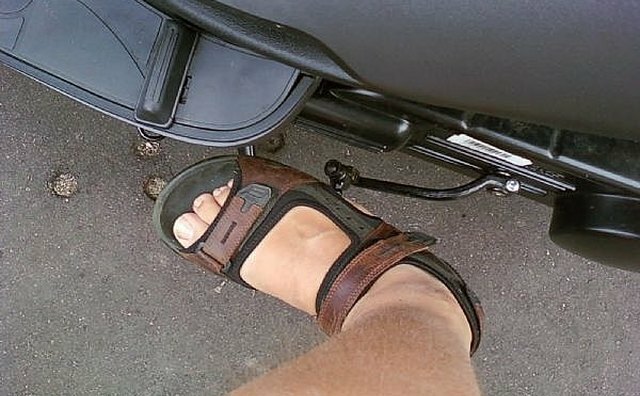 The mopeds I sell you can squeeze either of the brake levers, some require the right or left side. 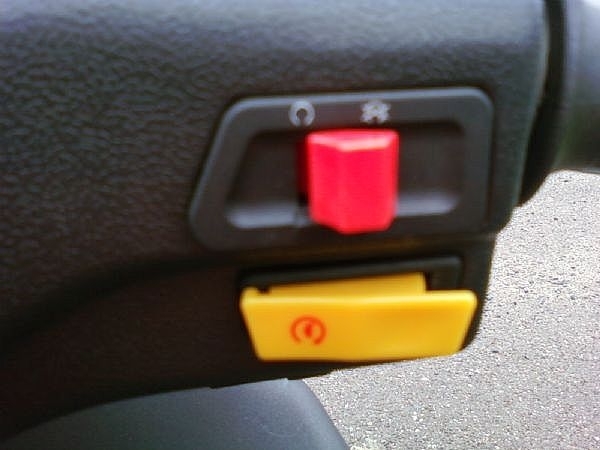 With this in mind squeeze the lever you normally squeeze when starting the moped with the electric start. Now place your foot on the kick start peg and push it down. 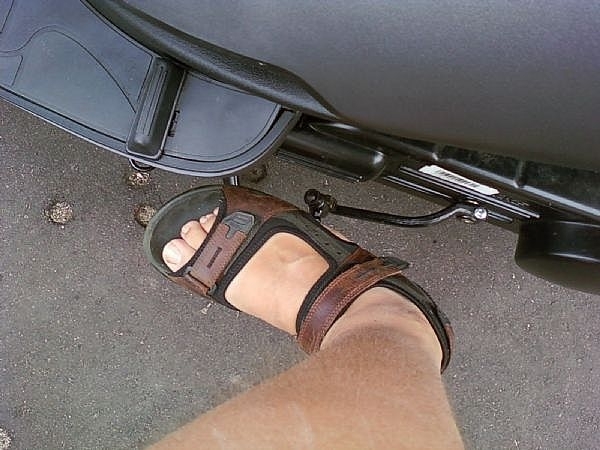 Repeat this step multiple times and your moped should fire right up. Sometimes if it is still not starting we need to give it a little throttle while kicking it over. It should be started and ready to go. Have fun playing and riding your scooter or moped. If it still does not want to start make sure the spark plug cap is on tightly or you might want to change the plug. What Are the Different Types of Mopeds?